Arnie Gundersen demonstrates what has happened inside the replacement steam generators at the site of the San Onofre nuclear generating station in San Diego, California. Arnie shows that steam generator tube vibrations have caused extensive damage due to design changes between the original and replacement generator tubes. For transcript, visit Fairewinds’ website. 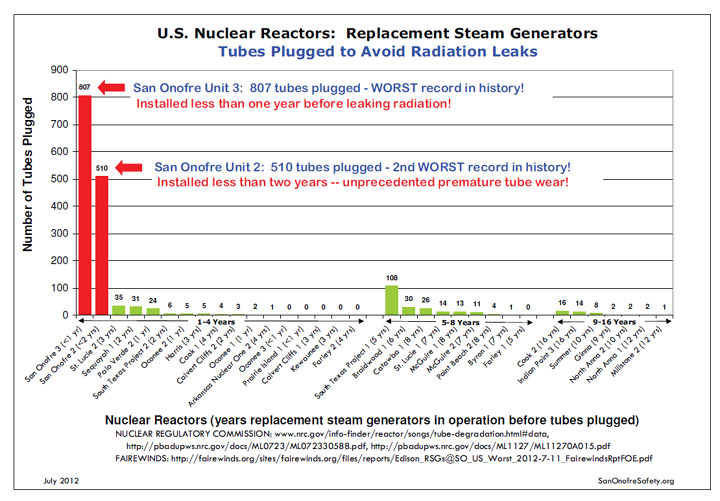 See more reports about San Onofre at Fairewinds Associates website.